On Feb. 7, 2014, General Motors Co. (NYSE: GM) recalled 800,000 cars worldwide to correct an ignition switch defect. Further complaints pushed the company to expand the recall to more models. By roughly halfway through the year on June 30, GM had already issued 45 recalls in 2014 that included nearly 28 million cars worldwide and 24.6 million in the United States. The core issue was that the ignition switches could slip out of the "on" position and cut power to the engine. This would also turn off airbags. Today, 51 deaths have been linked to the bad ignition switches. The total number of injury claims stand at 4,180. What's worse – and why Gilani said GM is facing a legacy issue – is GM knew there was a problem with the ignition switches, but attempted to hide it from the public. General Motors documents came to light on March 12, 2014 that showed the company had known about the problem as early as 2001. Engineers had found ignition switches on Saturn Ions could turn themselves off. And later in 2005, GM engineers proposed to fix the issue, saying it was affecting the Chevy Cobalt model as well. Management ignored this offer. Meanwhile, the National Highway Traffic Safety Administration (NHTSA) – a government watchdog that oversees auto safety and studies vehicle defect trends – was alerted to GM's faulty ignitions in 2007. The GM cover-up is just one of five of the worst auto industry cover-ups of all time… Here are the other four. In August, 1977, Mother Jones writer Mark Dowie exposed Ford Motor Co.'s (NYSE: F) neglect of a defect in the Pinto's fuel tank that caused the car to explode on impact. The magazine ran the article "Pinto Madness." The piece claimed "for seven years, the Ford Motor Co. sold cars in which it knew people would needlessly burn to death." When told of the problem, Ford executive Lee Ioccoca acted fast… to cover it up. Though the company owned the patent to a much safer gas tank, it would cost $200,000 to put in the new factory machinery. So Ioccoca and other top Ford officials went forward with selling the faulty Pintos. They then lobbied against new auto safety standards being set in Washington. In fact, they were able to stall a government safety standard that would have required the company to change the Pinto's gas tank. 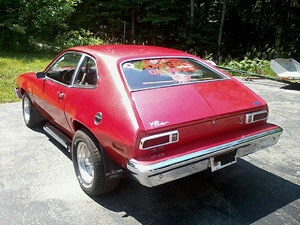 About 500 deaths resulted from the Pinto's faulty fuel system.